The Mets are fielding a lousy team. The Mets have fielded mostly lousy teams for 20 years now. Even when they’re good on paper, they’re lousy on a diamond. This can’t be blamed on Minaya or Phillips or any of the GMs that have put these teams together. No matter who's GM, the result always seems the same. It’s the result of an organizational philosophy. Ever since the great teams of the 1980s were torn apart, it’s been the same formula over and over: a tired cast of generally indifferent, fireless mercenaries with what little homegrown talent that sprouts out a wasteland of a farm system usually winding up elsewhere. When the mercenaries fail to live up to expectations, or go down with injuries, there’s never anything to fall back on. When the mercenaries do well, they generally fail to gel as a team and spit the bit when it counts. The failure to run out batted balls and frequent botching of routine plays often doesn’t make the box scores, but it almost seems like a Mets tradition at this point - we can all name the various offenders from the past two decades. I can no longer blame the parade of different GMs, because the problem has proven to be endemic over the last 20 years. I consider it the fault of an ownership that seems to despise colorful, scrappy gamers and loves “safe” colorless types that don’t play with intensity. I consider it the fault of an ownership that will sign a few big names to fill the seats, but won’t pony up a few million extra for guys like Abreu and Hudson to actually win when the roster is obviously full of holes. I consider it the fault of an ownership that seems to worry more about the menus in their exclusive restaurants than depth charts. Not only do the teams reflect the dismal corporate philosophy of the owners, but I find the ongoing efforts to shed the team persona that won me as a fan in the first place and gentrify the team's image to be distasteful. Meanwhile, prices have been raised so high that none of the Subway Series games have sold out and most of the better seats can be found for below their obscene face value on Stub Hub. I can’t really say the franchise has been a source of much joy of late. I almost find myself wishing for things to finally bottom out so that Fred and Jeff will just sell the team. I don’t see much hope of significant change until then. Last edited by Mongoose; 06-30-2009, 10:12 AM. I didn't bother reading the rest of your post since it's just your tired complaitns about ownership. You shouldn't respond to things you haven't read - you'll wind up criticizing something you don't know about. You're then liable to come off looking ill-informed. Sitting in the Promenade at Citi is like where the blue seats were at Shea. I don't really care what the name of the blue section was. The seats in the Promenade are better than some of the Lodge seats at all of the Mezzanine. You came up with these gemstones in a thread comparing sight lines at Shea Stadium with those at "Citi Field". In the interests of furthering our knowledge (or at least entertainment), why not actually read the original post and enlighten us why you think this wretched team isn't the result of an endemic organizational problem. See if you can muster an articulate defense of the past 20 years of garbage. Last edited by Mongoose; 06-28-2009, 02:52 AM. That's a shame because he basically nailed it. I'm about a season and a half away from refusing to support this team in any way, shape or form until there's a change in ownership. Fred and Paris don't have a clue about what makes their franchise tick. maybe the problem is that mangement is too responsive to a whiny fan base and so they bring in mercenaries at the expense of the farm system. Then there isn't the mental fortitude to stick with a players growing pains if he isn't Reyes or Wright straight out of the box. Although I'm not a Mets fan, I've always checked the box scores from time to time. This year I can definately say that your words ring true. This team just lacks depth at the Minor league level. No one who's ready to step in and fill a temporary hole. I like Fernando Martinez, but he's not ready. Johnathan's getting lit up in AAA. There's no one to turn to. I was just listening to the WFAN and I'm hearing Mets fan call for a Matt Holliday or Mark DeRosa...but I'm wondering just who are the Mets going to give to get? Do we really have enough in the farm to pay for Matt Holliday, never mind that he could be merely a rent-a-player? And of course, the Cards nailed themselves Mark DeRosa and the Yankees got Eric Hinske. I regret that the organization is somewhat hog-tied about acquiring someone with pop, what with such a desolate farm system. Look at the abysmal performance of the Bisons and B-Mets, for example. Stl Lucie and Savannah are probably mezzo mezzo. On the other hand, the Cyclones are doing good so far, not that any of them are MLB prospects. At least their tickets are cheaper than CitiField's and the games are a ton of fun. Hint - if seeing the Mets is too expensive and makes you want to pull your hair out by the roots, go to Brooklyn! IYou'll get less oggida and it's quite an electric atmosphere! Tonight, Reggy the purple party dude will be there and so will I. Yes, he's child-oriented, but it adds pizzazz. That deal, which took place in December of 1986 - 3 weeks after Wilpon usurped a 50% stake in the team from Doubleday and started to meddle in front office desicions - would set the tone for the next 23 years and beyond. Wilpon has always had an obsession with his players conducting themselves in a "moral" fashion. Google "Wilpon" and "image conscious" and you get a ton of hits, most of which discuss Wilpon's obsession with his organization looking "clean cut" and "family friendly". I watched with horror as the greatest team I'd ever seen was broken up. Starting with the Mitchell/McReynolds trade he proceeded to get rid of any and every player he considered to be a carouser and bad moral influence. And what was the result? There were probably more miscreants on the 1993 squad than on the 1986 squad. The only difference was that they were a bunch of mercenary underachieving losers with no fire and no soul. Some people have tried to pin the blame for breaking up that team on Frank Cashen, but it just doesn't add up. Cashen distinguished himself as a genius in Baltimore and in New York up until 1986. Then, all of a sudden, he became an imbecile - but not just an ordinary imbecile; an imbecile that had a freakish obsession with the nocturnal activities of his players. Until the day Wilpon became a full partner. We then learned through the press of a new determination on the part of the Mets front office to rid the team of all carousers and wild men. A series of trades then occurred which turned the deepest, most talented team many of us have ever seen into an surly unwatchable collection of garbage. Remember back in the 1980s and even the early 1990s, it was Fred Wilpon who forced the purge of less desirable players from the club. After the 1986 World Series win, potential trouble maker Kevin Mitchell was shipped to San Diego for the pure vanilla Kevin McReynolds. A few years later the known partiers like Lenny Dykstra, Wally Backman, and even Darryl Strawberry were shown the door. So I don't fully blame Minaya for the current situation. The pattern we're seeing here had been going on long before he got here; Wilpon never went for youth, only "names". Unfortunately Wilpon has been very active in remaking the Mets' persona, both on the field and as a fan experience. He has no affinity for the history of his own franchise. Fans have been noting his lack of connection to the team's history for years now. I need not go into that: it's been covered in great detail on this and other forums. As far as what he puts on the field, the teams have been the same old story for 20 plus years now. The Mets currently have no sure shot prospects in their whole system. It will take years to rebuild from where they are now. I don't know how badly Fred got swindled by his buddy Madoff, but perhaps if attendance diminishes enough, he'll be forced to sell the team. Maybe that's the only way anything's going to change. Why the quotes around Citi Field? Have you not yet accepted that that's its name? Or do you simply refuse to accept it? Considering your "location," I envision you sitting in the middle of a parking lot right where home plate used to be sniffing a blanket and sucking your thumb. ...Now, that's just a tongue-in-cheek jibe, so please don't come back at me with anger. Incidentally, I happen to agree with those gemstones. Being ANYWHERE inside of Citi Field is hands down better than what we had been brainwashed for so many years to believe was home. Comparing the two parks is like comparing apples and kumquats. 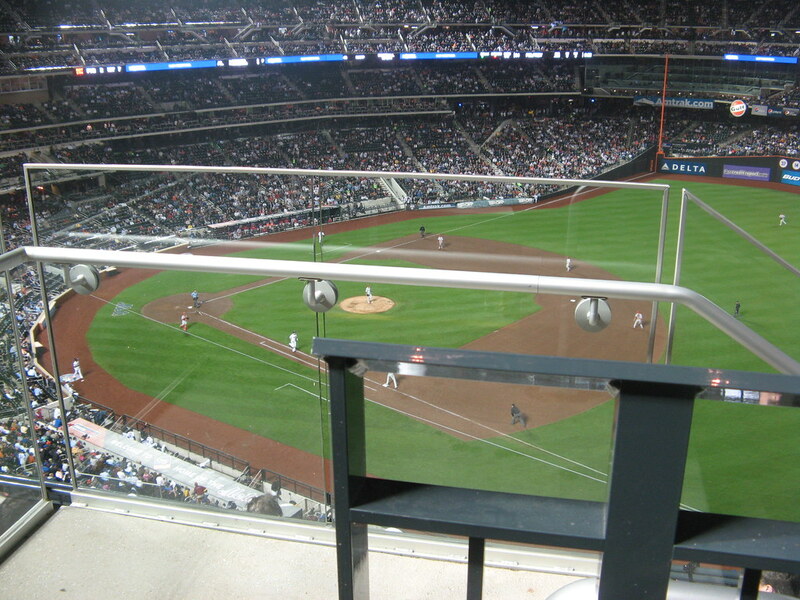 Citi Field is state of the art, and I think every seat is great. Couldn't say that about Shea, where in many places -- especially the Mezzanine -- fly balls were lost to the ceiling. Box seats were cramped (even on Field Level, where one could berely see the game for the people in front of them), and the upper decks were in another atmosphere with hard seats that made one want a backside-transplant after just an hour. That is, an hour after one's legs were rested from climbing steep and barely balance-manageable stairs and rows. Parking at Citi Field is a finely tuned machine handled by a relatively competent group of people directing you to a parking spot. Parking at Shea was, as Nixon once said to the country, "You're on your own." It was strictly park-at-your-own-risk despite a $15 fee. Ever read the back of one of those color-coded receipts? No longer. Now all one needs is a paper receipt without all the legalese on the back. 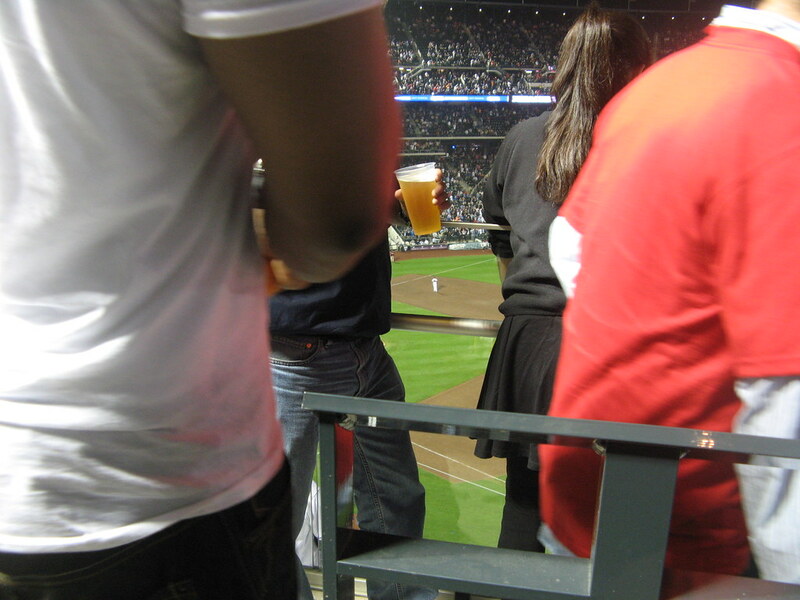 As well, no longer does one need to go too far from their seat to find the refreshment of their choice. No longer are there lines for those refreshments (nor the eventual release of them) while people bump into you as they walk through some skinny hallway where one can't even see the playing field. And after the game, I can't begin to tell you what a relief it is to not have to walk down 75 miles of ramps before reaching the ground exit. There are stairs and elevators now. Such a novel concept. Okay, enough about Citi Field (without quotation marks). I get the idea -- as NYMets523 also noticed -- that you're simply not happy with the Wilpons. According to you, they've basically screwed up the team since day one, and nothing good has happened since 1986. You're entitled to your opinion, even if some of us disagree. Yeah, we've had our ups and downs since that era, but 20 years of "garbage"? Good, so you, Mongoose, and EasilyFound can jump back on the wagon during good times. ... which, evidently, by Mongoose's standards, are only after a WS Championship. lol ...Ahh, the beginning of the end. ...of the beginning. ...of the end. Wham. Finally, the perspective that needed to be said. Thank you. Mongoose, if only you had the same bile-spewing antipathy for M. Donald Grant's imposition on his GM's. All I can say is, thank goodness you don't carry a grudge. ...or a gun. Last edited by milladrive; 06-30-2009, 02:37 PM. This is very true. When Minaya took over the Mets, he immediately turned the franchise around by trading many prospects, and then signing a number of Type A free agents which required the Mets to give up first and second round picks. As a result the Mets have been competitive, but also lack the organizational depth to fill in the missing pieces. When Doubleday and Wilpon bought the team after the 1979 season, they embarked on a rebuilding program under Frank Cashen. While they struggled at the MLB level, they drafted high enough to acquire players like Strawberry and Gooden. Not all their top picks worked out, ala Blocker, Abner, Beane, etc, but their farm system was rich enough to make deals. They were also able to capitalize on trading established players for unproven prospects - the reverse of what they have been doing recently. Darling, Terrell, Fernandez, etc were acquired with veterans like Mazzilli and Bailor. Because the Mets jumped into the fire under Minaya to give fans a winner after many insufferable seasons, they also shot themselves in the foot a bit. It was a double-edged sword. Fans continue to moan and grown. At the moment it seems they want to acquire anyone at any cost without regard for long term impact. I'm all for making a deal, but not two prospects for a decent 34-year old free agent to be like Mark DeRosa. For all I know presently, the PTBNL might be a high pick from the 2008 draft since a player cannot be traded until one year after he is signed, without a lot of red tape. If the PTBNL ends up being Brett Wallace for example, that's not a deal I'd want the Mets to try to beat. Last edited by ReyesOfHope; 06-30-2009, 02:42 PM. Incidentally, I happen to agree with those gemstones. 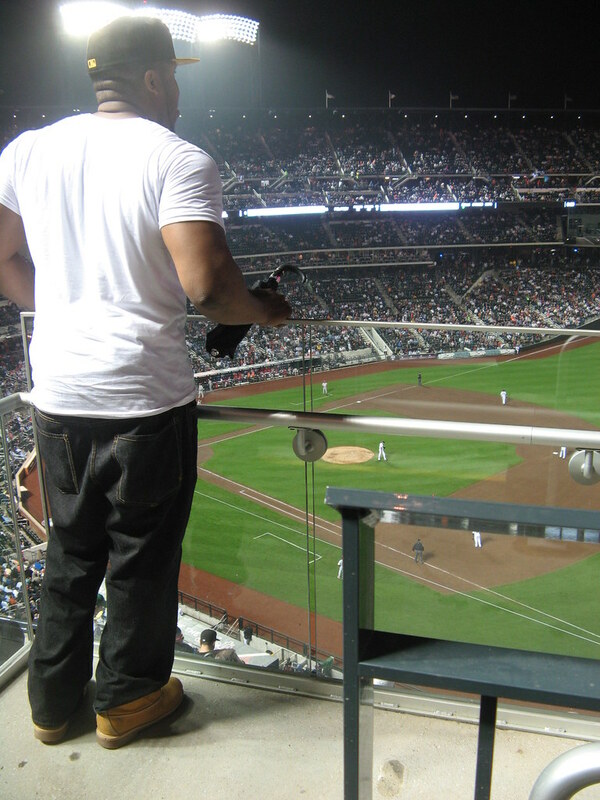 Being ANYWHERE inside of Citi Field is hands down better than what we had been brainwashed for so many years to believe was home. Comparing the two parks is like comparing apples and kumquats. 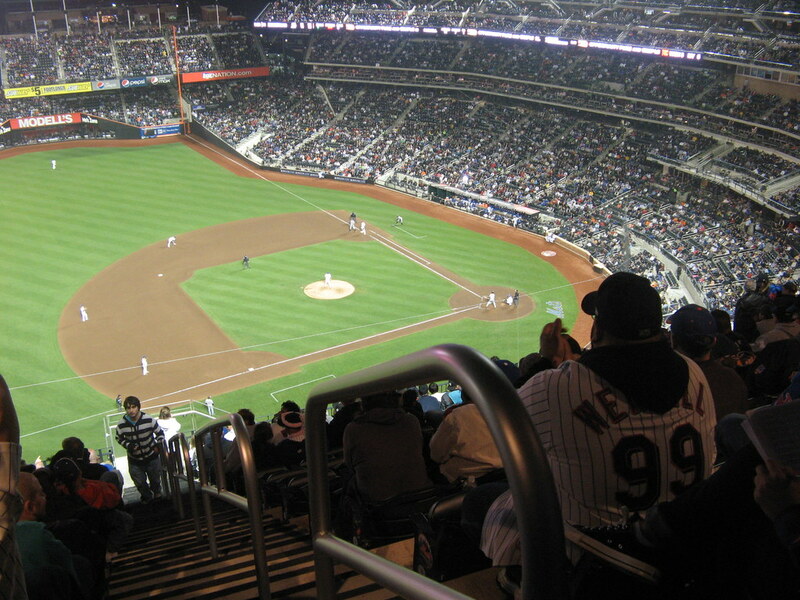 Citi Field is state of the art, and I think every seat is great. You mean like these seats? Views of RF from 405, Row 6, Seat 16, both seated and standing. One loses the view of RF and has to look through a bed frame. Two views from these, my Weekday Plan seats. First view is looking straight ahead without turning. Second view is with turning towards the plate and infield. 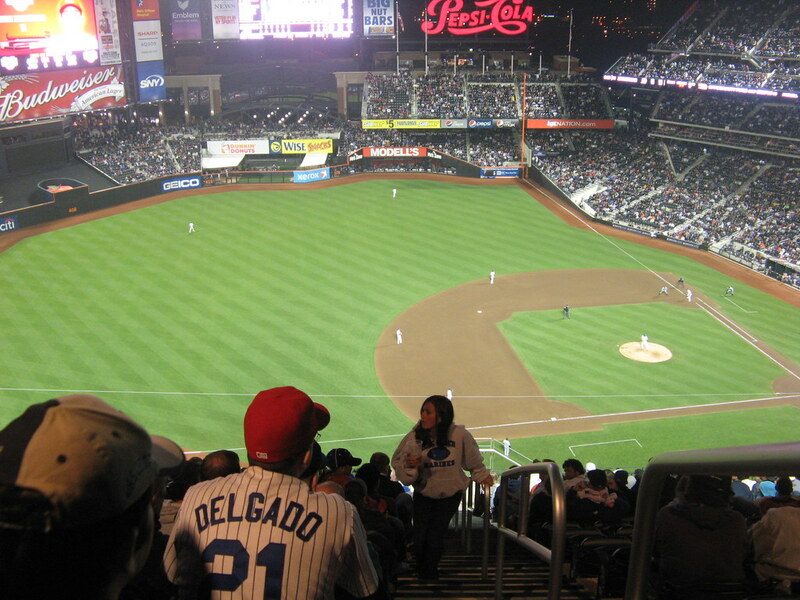 Citi Field is state of the art, and I think every seat is great. Look, you’re entitled to demolish your credibility if you want to. It makes no difference to me. capacity of Promenade at “Citi” is a matter of statistical fact. Even New York City declined to put “Citi Field” on the Willets Points subway station’s signs. I get the idea -- as NYMets523 also noticed -- that you're simply not happy with the Wilpons. Gee, whatever gave you that idea? The problem is early on the Mets used to field teams of lovable losers. Over the past 20 years, they’ve fielded teams of hatable losers. If you disagree with me, please try to post something reasonable. philosophy during the Wilpon regime? Why not disprove the notion that these tired mercenary transients have often been brutal to watch? Why not explain why the last 20 years of Mets baseball haven’t been generally awful in a grimly predictable way? Great, now everytime this page loads, it takes longer than usual. Btw, I think I sat behind that schmuck Sunday night in 533. Well, apparently it does. Besides, I don't think a person's opinion demolishes their credibility. ...unless one wishes to debate religion or politics. 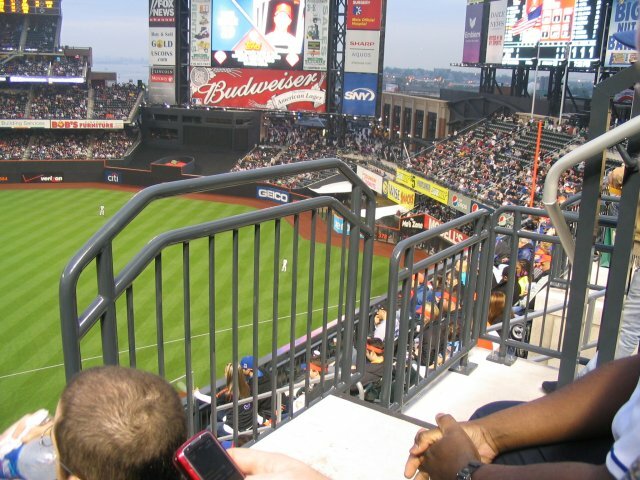 One thing’s for sure: the reduction in affordable seating from the 34,576 of Upper Deck and Mezzanine combined at Shea to the 15,500 capacity of Promenade at “Citi” is a matter of statistical fact. So? At least they're all lower to the ground, more comfortable, and easier to get to. Read my previous post. Well, while that may be true, it's the current name, and therefore needs no quotations. Do you put quotation marks around San Diego... I mean, Jack Murphy.... I mean, Qualcomm Stadium? Did you put quatations around Riverfront Stadium... I mean, Cinergy Field? Ever put quotations around Shibe Park... I mean, Connie Mack Stadium? How about we put an asterisk next to Yankee Stadium? Do you put punctuation around Coors Field, Minute Maid Park, PETCO Park, AT&T Park, Tropicana Field, U.S. Cellular Field, PNC Park, Citizens Bank Park, Chase Field, or any other corruptorate moniker that may change in the future? Didn't think so. Why not just whole hog and put quotation marks around the St. Louis Browns? Should I continue? Yes, but it's indicated on all the road signs. Roads and signs owned and maintained by New York City. So, perhaps you should direct your anger at King George Steinberger and the Player's Union, who began the separation of common-man salary and MLB big-time money salary. Face it, they would be a whole lot more loveable if we weren't taking out a mortgage just to go to the ballpark. I vividly recall barking about the price hikes after we got George Foster. WE, the fans, pay their salaries, via vendors, the box office, parking, and TV advertisements. You want loveable losers? Become a hockey fan. You think my posts have been unreasonable? Really? Hm. I'll try to put less energy into them then. Why not come up with facts or arguments that disprove the notion that a roster of tired, mercenary transients has been the Mets philosophy during the Wilpon regime? Can't disprove a notion. A notion is an opinion. As well, MLB, by definition, has become a business filled with mercenary transients. Very seldom does a player remain loyal to one team, especially when offered more moulah by another. Again, can't disprove an opinion. Besides, why should I try to disprove an opinion with which I agree? Of course they've been oft-times brutal to watch. I sit through the same games as you. Just be glad we weren't Brooklyn Dodger fans. ...Oh wait, I forgot, they were loveable (i.e., low-paid) teams who just happened to finish in first place year after year, only to lose a heartbreaking Series to that arrogant team on the mainland. Guess that made them losers, too? Because perhaps I disagree with that statement? If I disagree, am I being unreasonable? You call the past two seasons predictable? Who are we, the Cubs? I don't think so. I'll refer back to the old Dodgers. Back then, finishing in first place meant a World Series. Today, a team can finish second and go the distance. Can you count how many times since 1984 the Mets have finshed either second in their division or failed to get the Ring in postseason? Don't bother; I'll tell you. Twelve. Twelve times in 24 years. That means that in half the seasons you call garbage, we were contenders. As I assessed, anything less than a WS ring is something you would call garbage. I may have been heartbroken more times than I care to admit, but I suppose one person's garbage is another person's heartbreak. Last edited by milladrive; 06-30-2009, 04:27 PM. Please tell me you're not upset the Mets didn't get Eric Hinske.